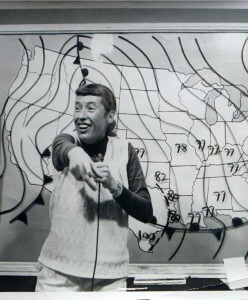 Marcia Yockey was a local weather caster in the region for decades. She was born on 6 November 1922, grew up in Evansville, and graduated in 1940 from Bosse High school. However, she spent much of her life in Newburgh, living at 201 West Jennings Street, and considered herself a native of the town. 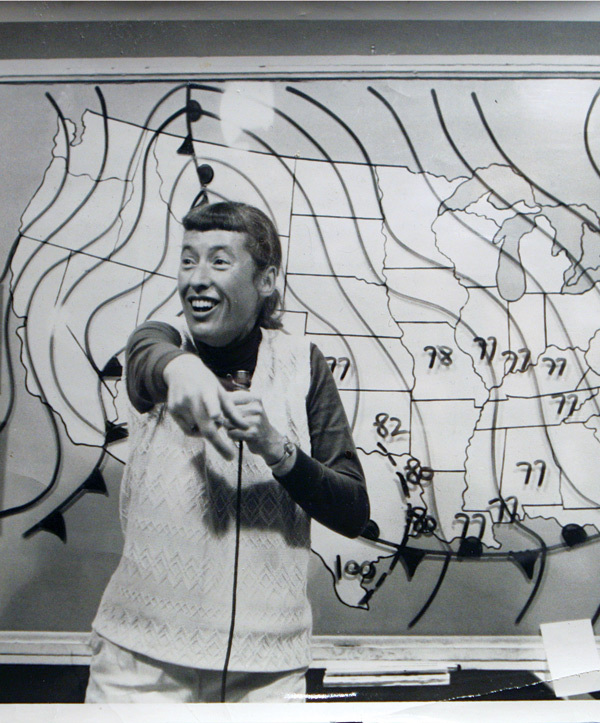 Yockey debuted on WFIE Channel 14 in 1953, after 10 years of working for the National Weather Service. Over the course of her 35-year career, she bounced around from WFIE Channel 14 and WTVW Channel 7 before finally retiring in 1988. She quit one station because she didn’t like a new theme song they picked. Another time she gave notice when her bosses cancelled her annual July 4 televised swim after the forecast. A resident of Newburgh, she reached star status for her forecasting skill, irreverent attitude, and colorful personality. She received the Indiana Associated Press Broadcasters Hall of Fame Award. In her free time Yockey enjoyed flying Piper Cub planes, and she was only the 100th woman to receive a helicopter pilot licence. Yockey died on 28 September 2000 at the age of 77 after suffering for several years from Alzheimer’s Disease. The Newburgh Museum created an exhibit in her honor and houses a number of artifacts from her career ranging from personal Poloraids taken during holiday parades to a television interview with David James in 1986 honoring her.